Due to application to three high vacuum tube and patented technology of interference coating film, HM 21° Solar Water Heater is very popular by properties of high absorption and great heat-collection. Its inner tank and water tank are made of 0.5-millimeter-thick steel. To illustrate in detail, Inner tank adopts SUS304 stainless steel while water tank adopts plastic coated galvanized steel plate. Meanwhile, vacuum tube is made of Model 3.3 borosilicate glass. In addition, the frame of solar water heater is manufactured by 2.0-millimeter-thick plastic coated galvanized steel plate. 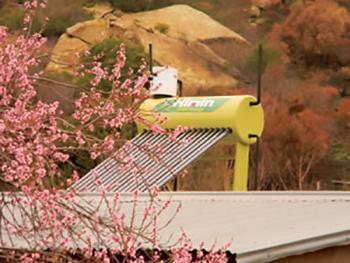 Moreover, solar water heater chooses polyurethane foaming as its insulation material. 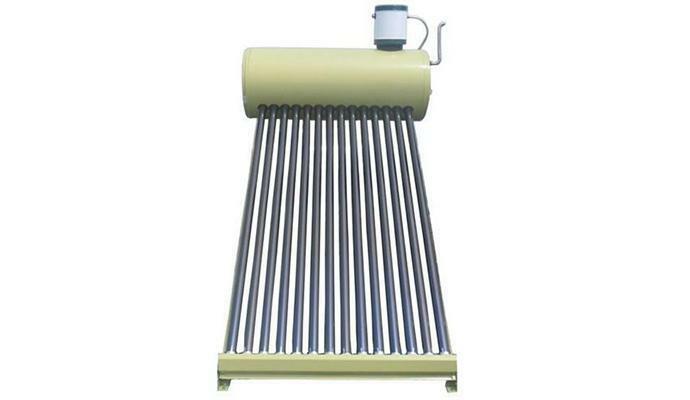 Electric heating bar The heating bar is made of Incoloy 800. The excellent corrosion resistance makes it possible for the application of various kinds of water. Processed with advanced technology, our product supports 72-hour heating without water, and its lifespan is longer than the existing products in the market. 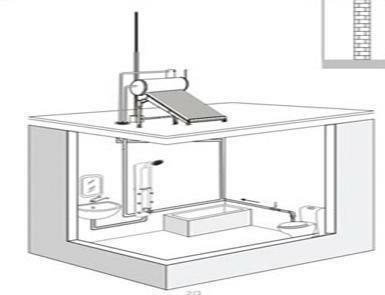 Heating bar electric leakage, electrochemical corrosion, and cavitation. 1. 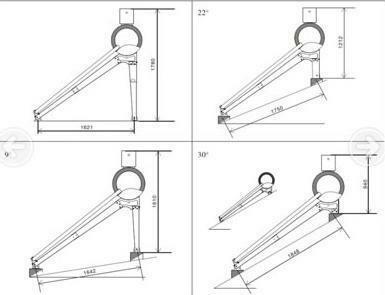 The floater tank solar water heater is suitable for the installation on the roof in different angles. 2. 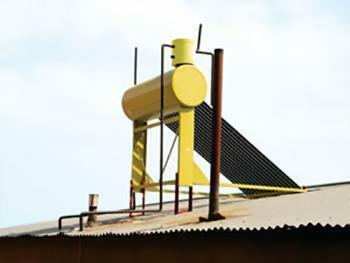 Installed with floater tank, the solar water heating system can be filled by the tap water, or water from other tanks directly, making sure the tank is fully filled. So users can enjoy the hot water at any time.